We are a leading Wholesale Supplier of alloy wheel cleaner, pure vision glass cleaner, choke or carbon cleaner and ac foam cleaner from Bengaluru, India. 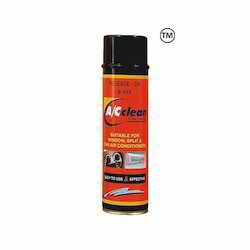 MAG KLEEN Alloy Wheel Cleaner is a unique cleaner and polish specially formulated for use on stainless steel, copper, chrome and ally metal surface. Can be used on laminated plastics, enamel and ceramics. Does not affective Painted and glass surface. Non toxic Non hazardous and Ammonia Free. Hold can upright and Spray from a distance of 15 cms. Wipe area and polish until dry. Usage depends on dust and dirt the alloy wheels. Ensures clean and shining wheels. A unique glass cleaner and polish with ANTI - GLARE Properties, Non toxic, Non hazardous and Ammonia Free. Does not affect paint and rubber surface. Can be on all types Of glasses, plastics and Mirror, Hold can upright and Spray from a distance of 15 cms and wipe the glass surface using a Clean cloth until dry. If the glass is hot, wipe it with a wet cloth and then spray for effective results. Usage depends on dust on the car windshield. Main features include ANTI - GLARE Effect to ensure convenient driving. Choke Or Carbon Cleaner has a unique quality of dissolving and displacing from the metal surface. This can be effectively employed for removing grease oil and dirt from the surface. Insert extension tube and spray on the desired surface to remove carbon deposits. AC Foam Cleaner removes bad odors, soil lint and other dirt particles which disturb the cooling efficiency of your air conditioners. Switch off the A/C unit and remove the filters. Spray A/C Clean directly on to cooling fins. Shake can frequently during use. For Stubborn buildup repeated application may be necessary. Shake can well before use. Insert extension tube and spray A/C Clean into the A/C Vent. Leave for about 5 minutes and put the A/C blower on.